Kurt Steiner, the founder of CharityHowTo.com, has been helping to build and establish Internet companies since 1997. Kurt has helped thousands of nonprofit organizations online since 2003. 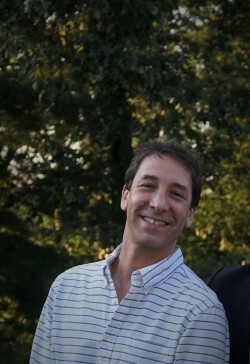 As Vice President of Sales and Business Development, Kurt helped to open and establish Firstgiving (www.firstgiving.com). During his time at the company it raised over $100 million online for charity. Speaking to charities and nonprofits on a daily basis, he was told time and time again of the frustration many felt with the internet; they continued to hear of the power of the web and social media, but learning how to leverage this new technology while simultaneously running their organization and carrying out their mission seemed an impossible feat. CharityHowTo was born out of a simple idea: Help nonprofits raise more money without requiring a huge financial commitment. Kurt's mission is to show nonprofits step-by-step how to leverage the Internet and today's technology in order to attract a wider audience and maintain existing supporters.